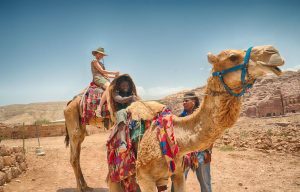 Optional tours include Jerusalem and cultural preservation opportunities in Petra with Sela. The range of academic disciplines and faculties involved in delivering coursework is much broader. They include agriculture, anthropology, architecture, archaeology, communication, community development, history, political science religion, and sociology. The fieldschool is not exclusively focused on archeology. Other types of research and training related to cultural heritage preservation, presentation and dissemination are conducted by faculty and students that involve many other sorts of methods of research, experiential learning experiences and/or activities involving creative expression. 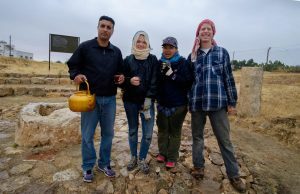 The fieldschool has Andrews faculty and students returning to Jordan every spring and summer in order to complete courses that, in many cases, are only offered in Jordan in connection with the fieldschool. In the past digs were organized only every two or three years. Despite the diversity of subjects taught and methods of research involved in the delivery of the Jordan Field School, what ties the various components together is a common agenda: namely to work closely with local partners and stakeholders toward sustainable development, protection and dissemination of the cultural heritage of Jordan and Hisban.